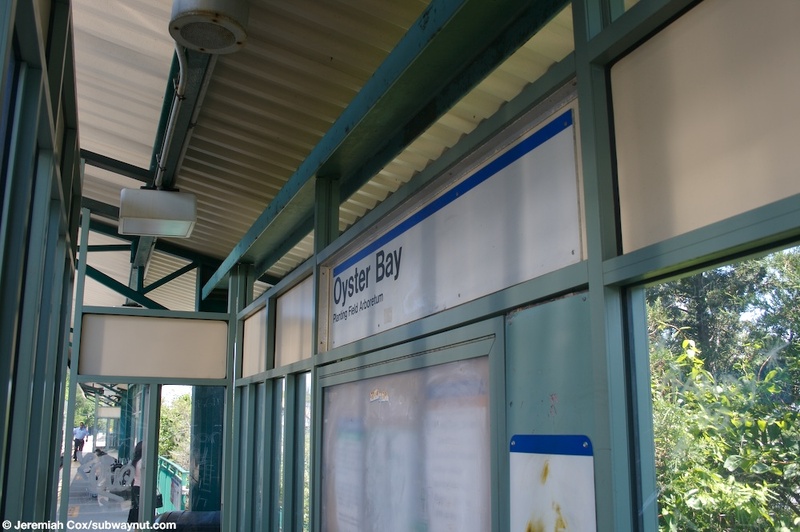 Oyster Bay is the terminal of the branch that receives basic service every other hour or better by 3 or 4 C3s pulled westbound and pushed eastbound by a DE or DM30AC Locomotive to and from Jamaica. There is also one Peak trip to and from Penn Station using a Dual-Mode DM30AC, and peak hour two trips to Hunterspoint Avenue and one addition trip to Long Island City that provides the only train running non-stop via the Lower Montauk Line (there are no longer any PM trains) in the AM Peak but runs the more conventional way via Hunterspoint Avenue in the PM. 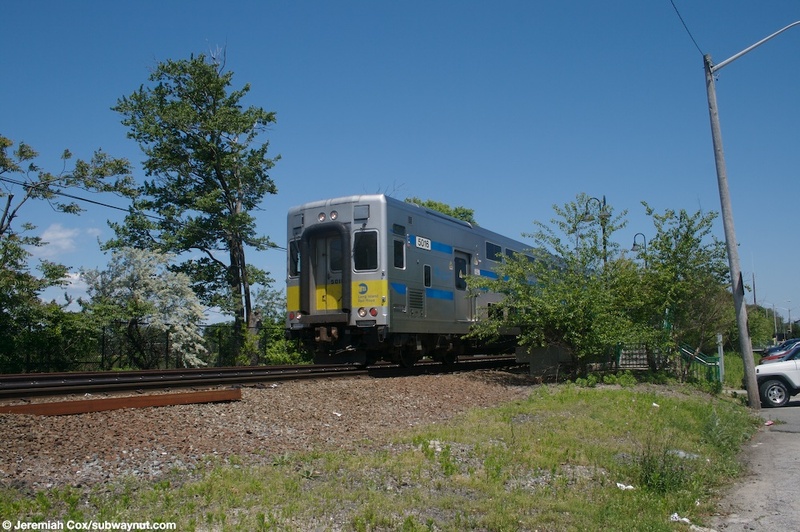 The station itself is a single side platform although there are two tracks with the other more used as a siding these continue for a bit beyond the station switch back and become one track again before reaching the 7 track Oyster Bay Yard. 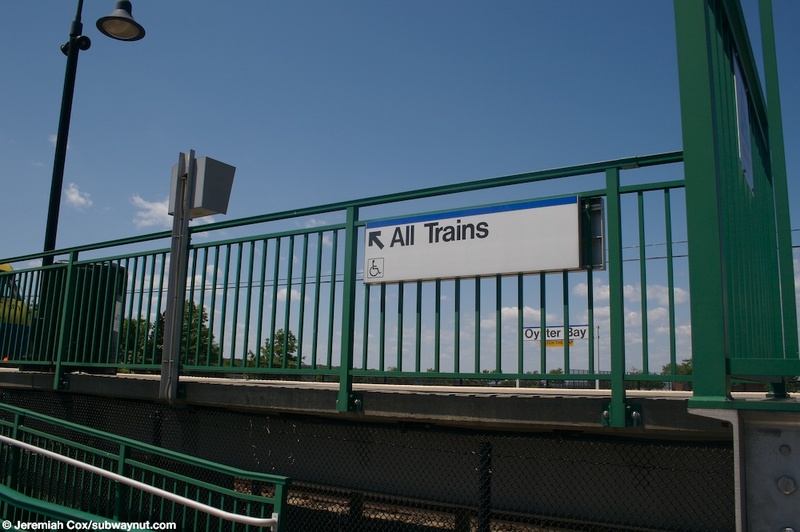 The side platform can accommodate 4 cars and is almost same as all the other modern platforms built around the year 2000 with green fencing except it includes a canopy for a good deal of its length including the portion with a small windscreen. 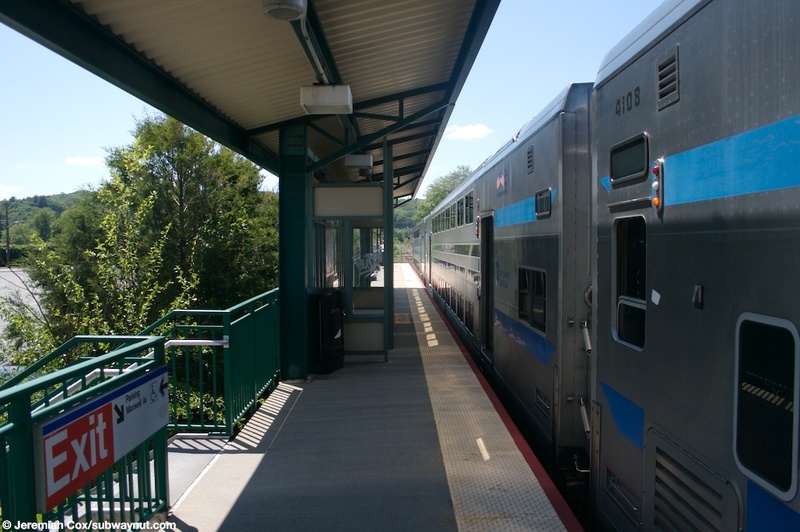 The platform is a bit above (with stairs and a ramp down) the station's parking lot and the Long Island Sound is visible off in the distance beyond the tracks over Theodore Roosevelt Memorial Park. EMD GE30-AC Locomotive #409 is the local the locomotive of a three car Oyster Bay-Jamaica Shuttle train that waits at Oyster Bay to reenter service. 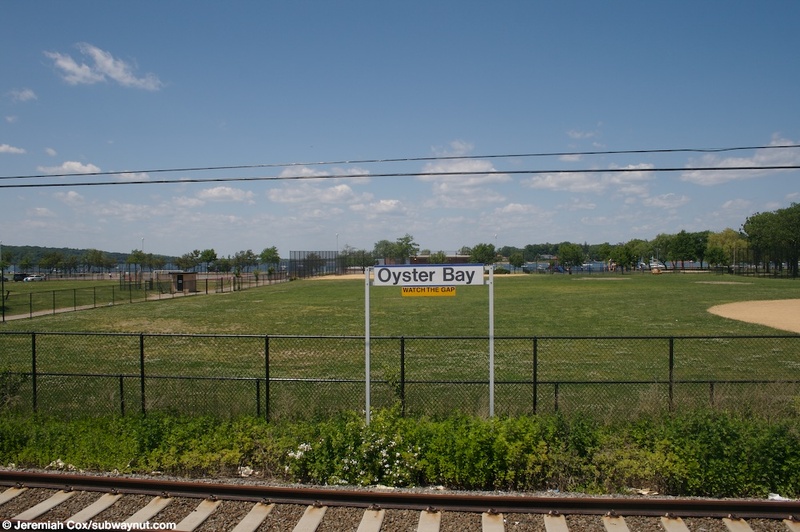 An Oyster Bay Station sign across from the platform with a loushous green field of this affluent suburb visible beyond. 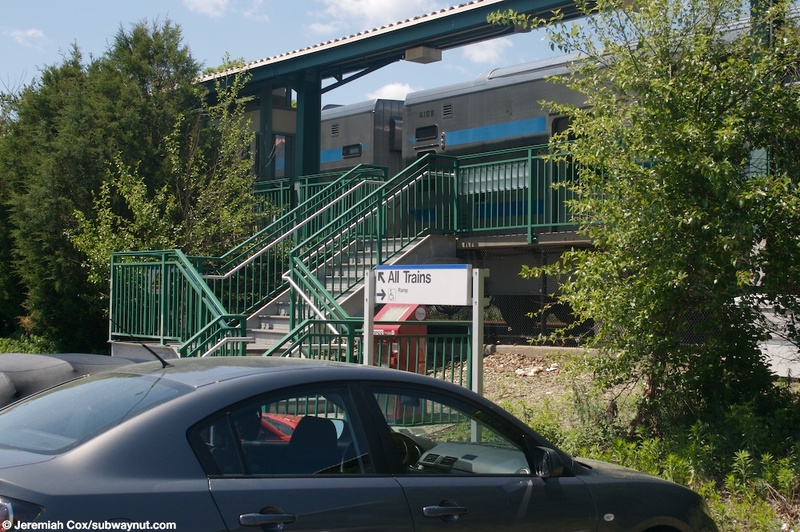 An All Trains sign on a ramp up to the platform at Oyster Bay. A staircase up to the platform at Oyster Bay. 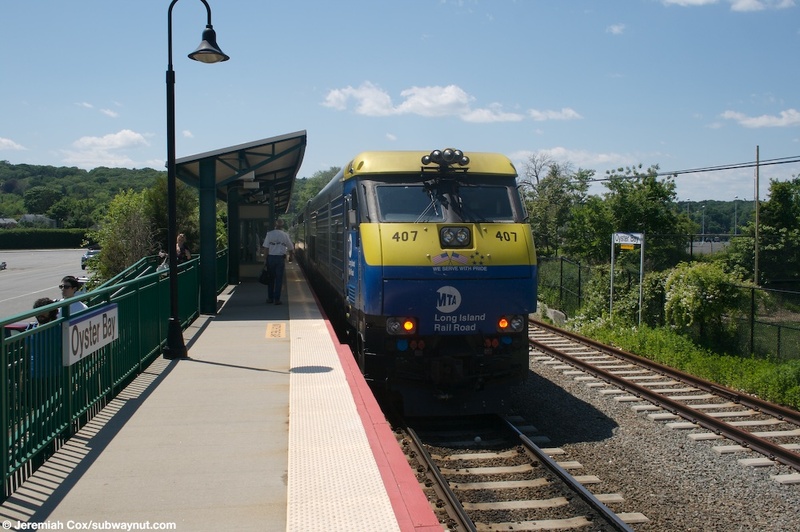 C3 Cab-car #5016 stopped at Oyster Bay as the Cab Car of a train that has a layover there before reentering service back to Jamaica. 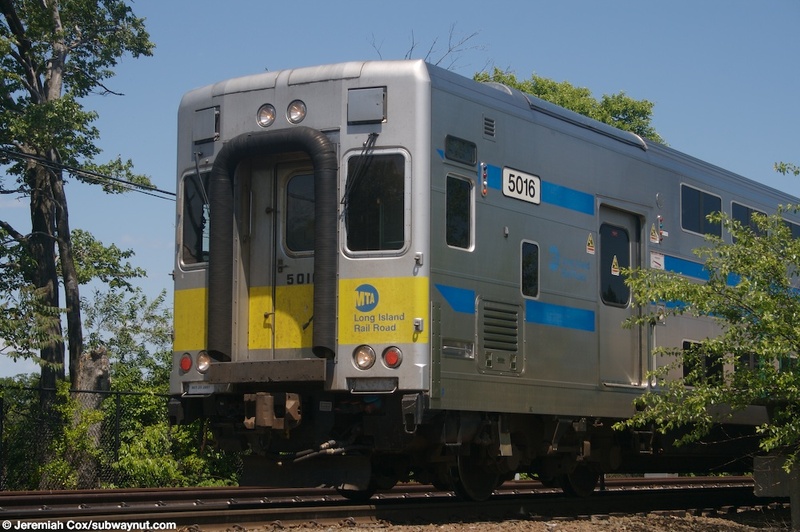 A close up of C3 Cab-car #5016 stopped at Oyster Bay, waiting to reentering service. 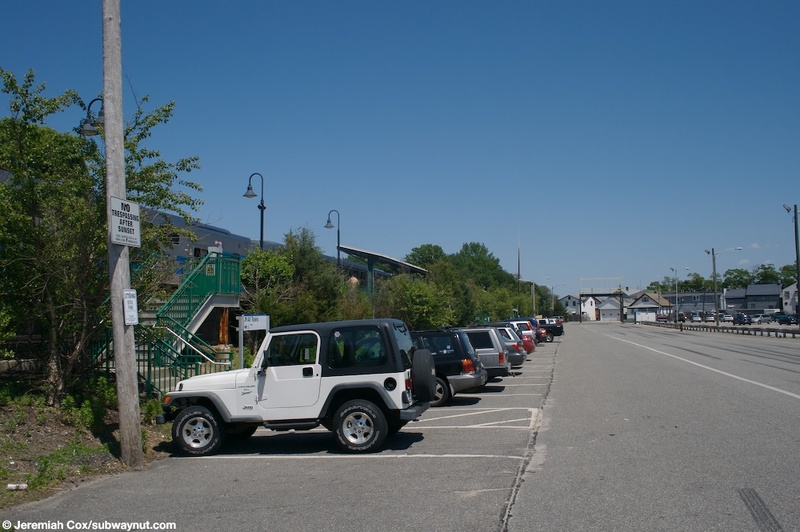 A view of the small parking lot accross from the platform at Oyster Bay. Another view down the platform at Oyster Bay with C3 #4108 stopped in the station.